LICENSE NOTICE: Both licenses come with 6-months free updates and 6-months free support options. If you are a developer and planing to use this template in multiple websites (domains) you designed, you should purchase this template with +Unlimited Domains license to avoid domain restriction. This option can't be added later. Read template licensing for more information. 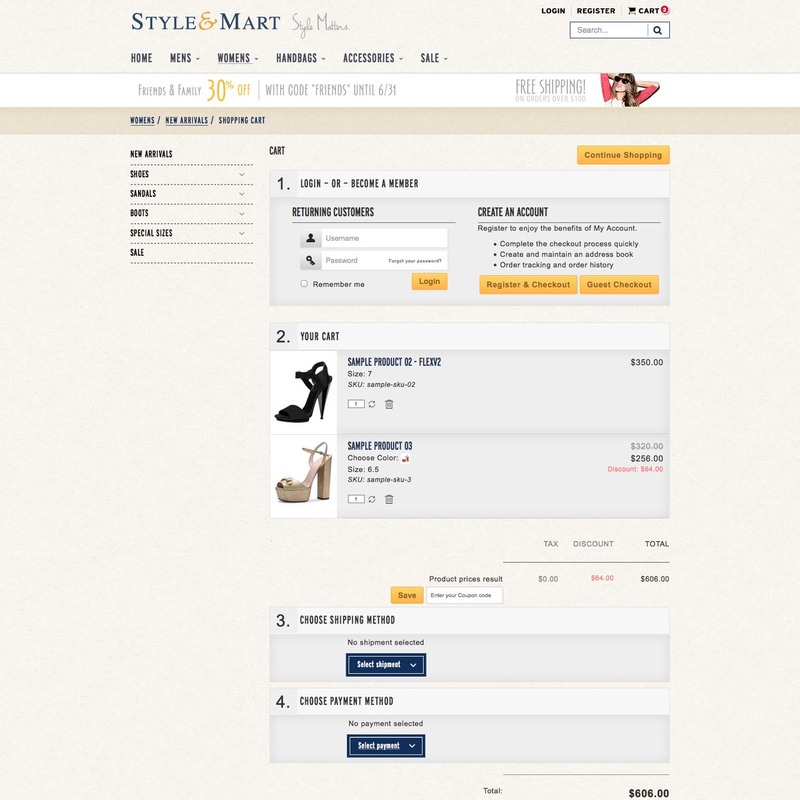 StyleMart, Joomla Virtuemart Template has been developed based on Bootstrap v3, therefore it is fully responsive. Visit the Live demo with your mobile device and see things in action. 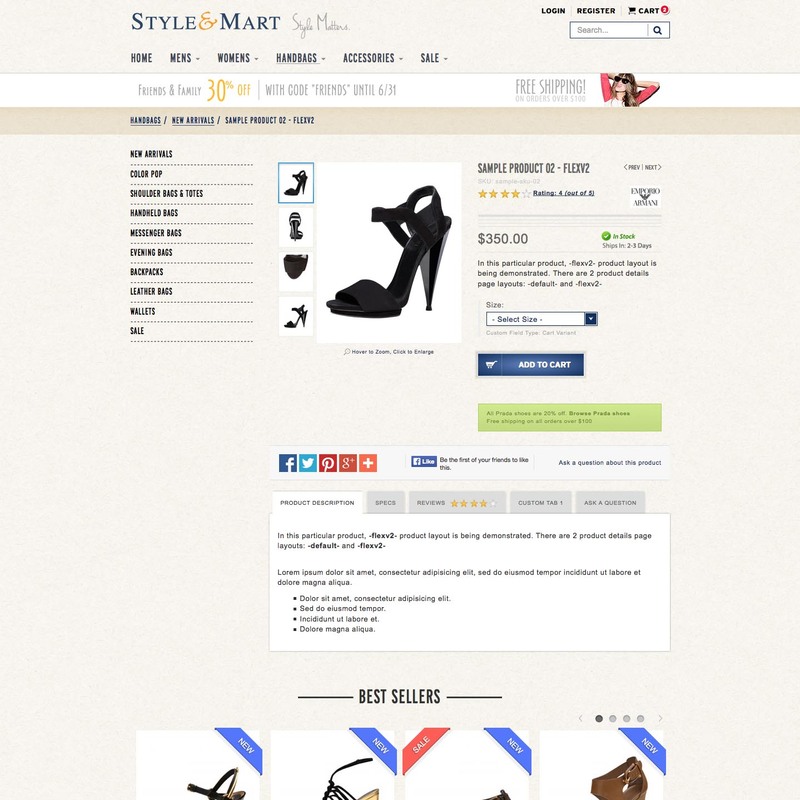 StyleMart, joomla virtuemart template comes with 3 Virtuemart category page layouts. Pick the one that you like the most. You can also use them all for different categories if you would like. StyleMart Joomla Virtuemart Template comes with uniquely created 2 Virtuemart product details page layouts. Each of them has different and unique features. Off-Canvas Shopping Cart Module works based on AJAX loading therefore it lets you to add/delete products to shopping cart without refreshing the entire page. 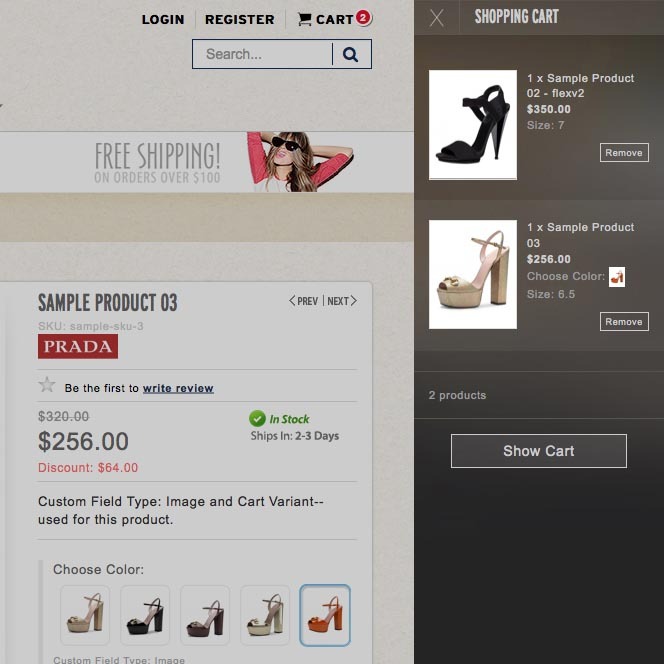 Once the "View Cart" link is linked, the off-canvas sidebar pushes the whole website and shows the products in the cart. 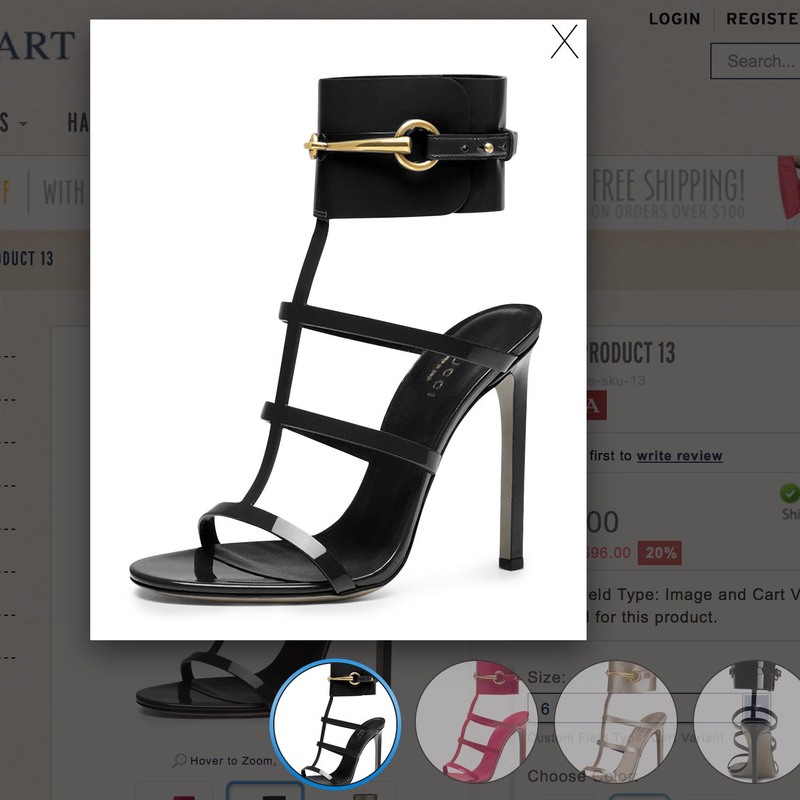 StyleMart comes with three different category browse page layouts and all of them have three different views: ListView, GridView, MultiGridView. Flexible Zoom Effect V4 integrated, comes free! 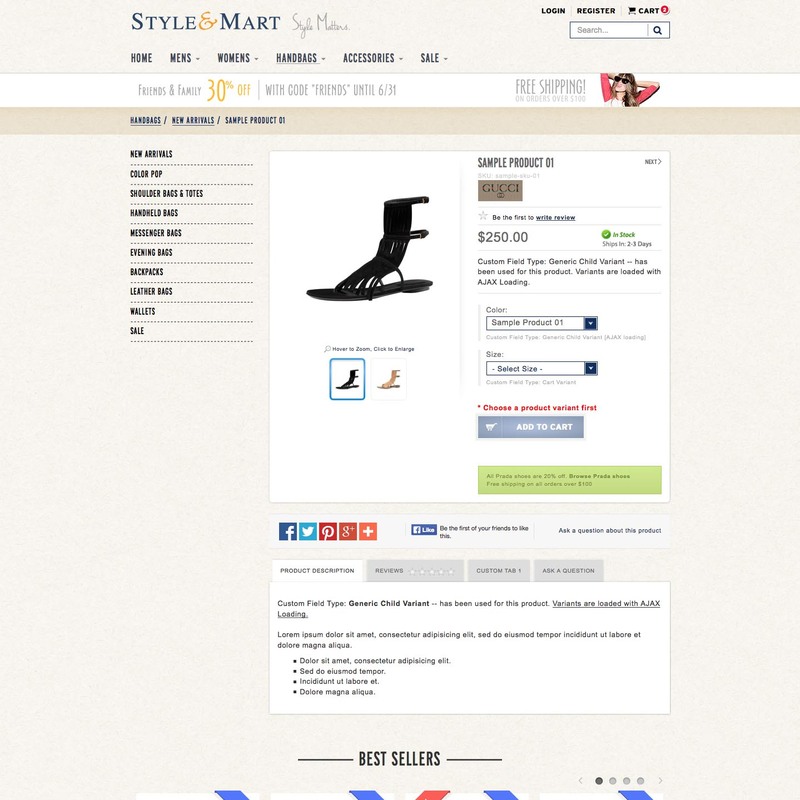 The Joomla Virtuemart Template - StyleMart is developed based on T3 Framework. 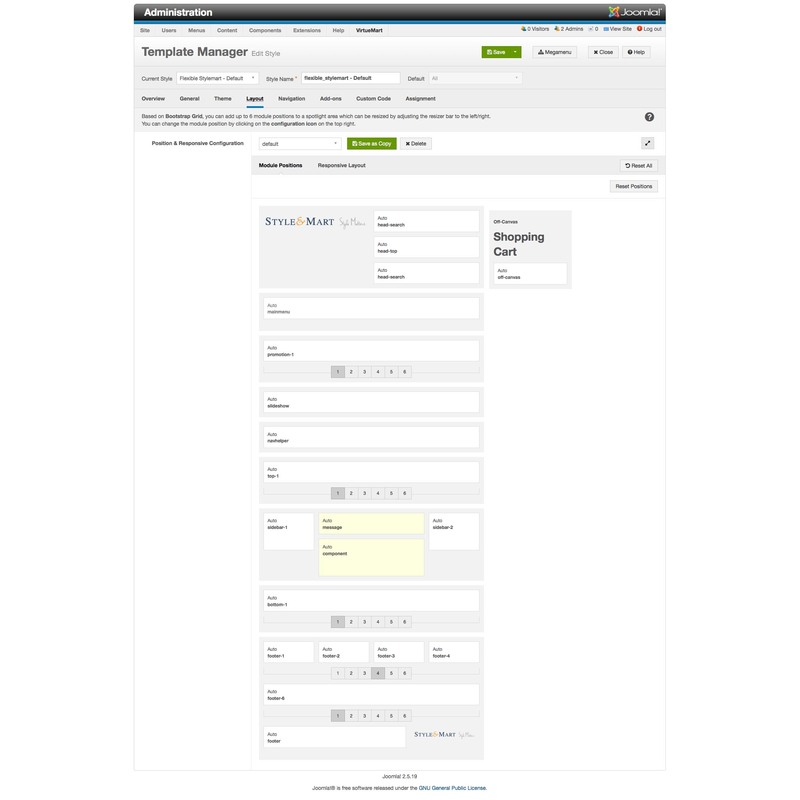 The T3 Framework is pretty flexible Joomla framework and it let's you define as many modules and blocks as you need. Creating new blocks or defining new module positions are extremely easy and require little extra click with an easy interface. 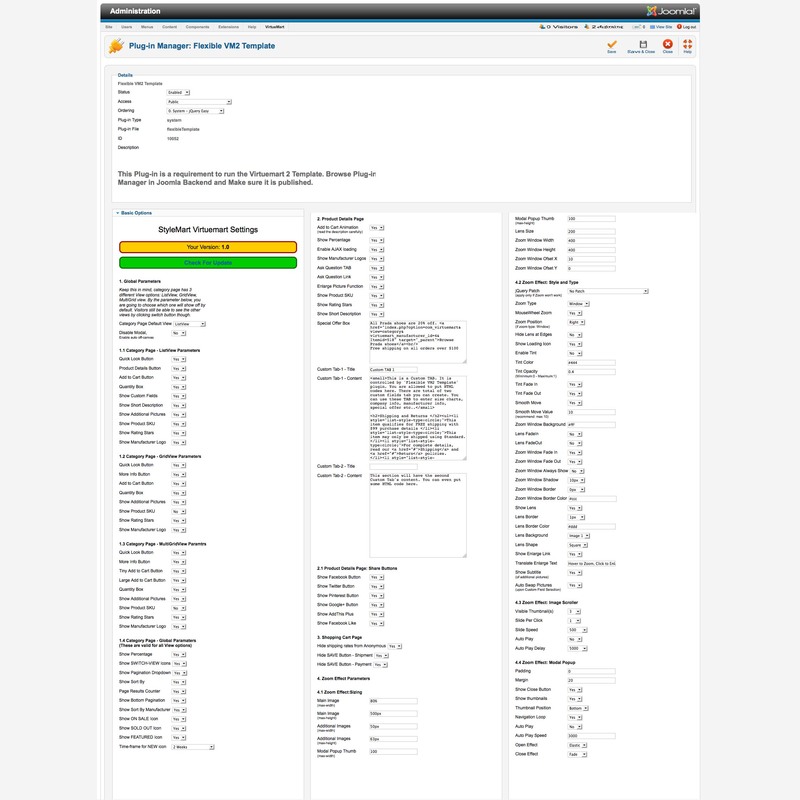 More info about T3 Framework Layout System, click here. Forgot the old-fashion dropdown menus. Things have changed, people want to put more than simple menu-items inside the menu. 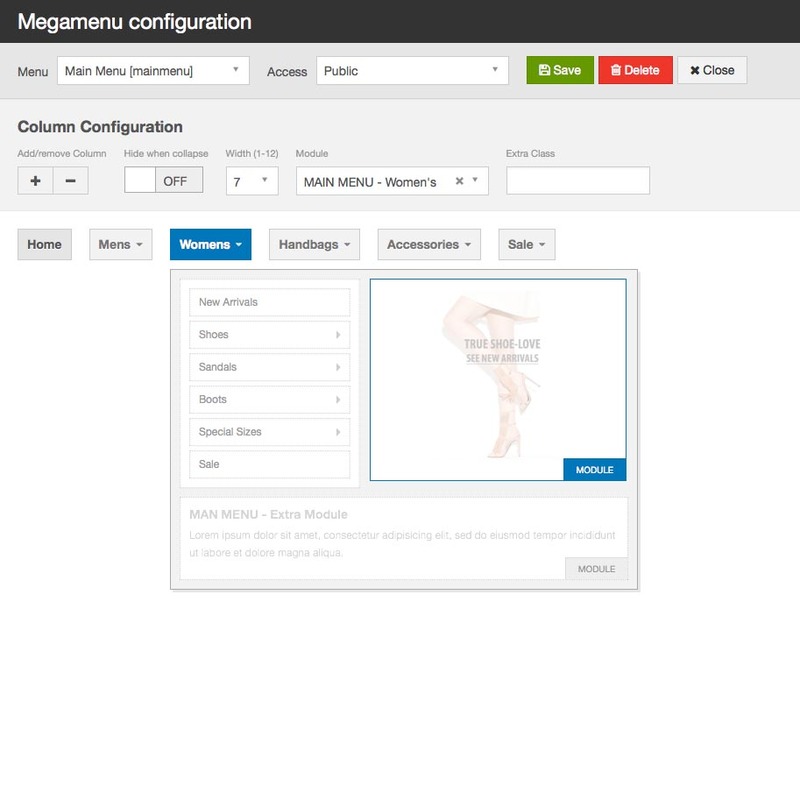 The "Mega Menu" concept is the next-generation menu, the backend interface lets you define unlimited numbers of module around the menu items. (left-right-top-bottom). So you can put your module inside the menu dropdowns very easily. More info about the Mega Menu, click here. 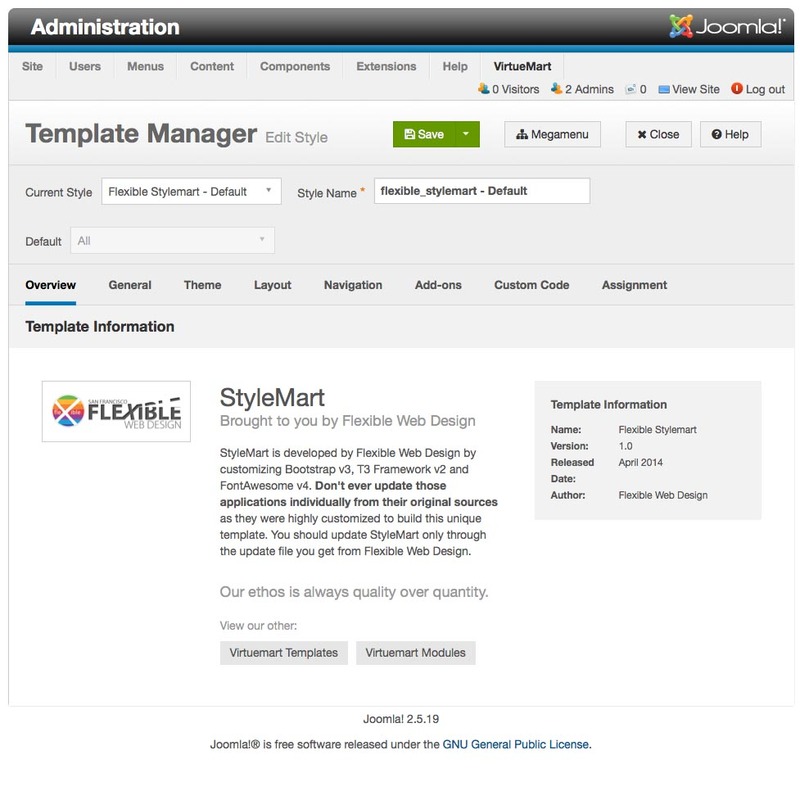 The special "Flexible VM2 Template" joomla plugin that comes with StyleMart let you change many parameter and customize the virtuemart related pages easily! 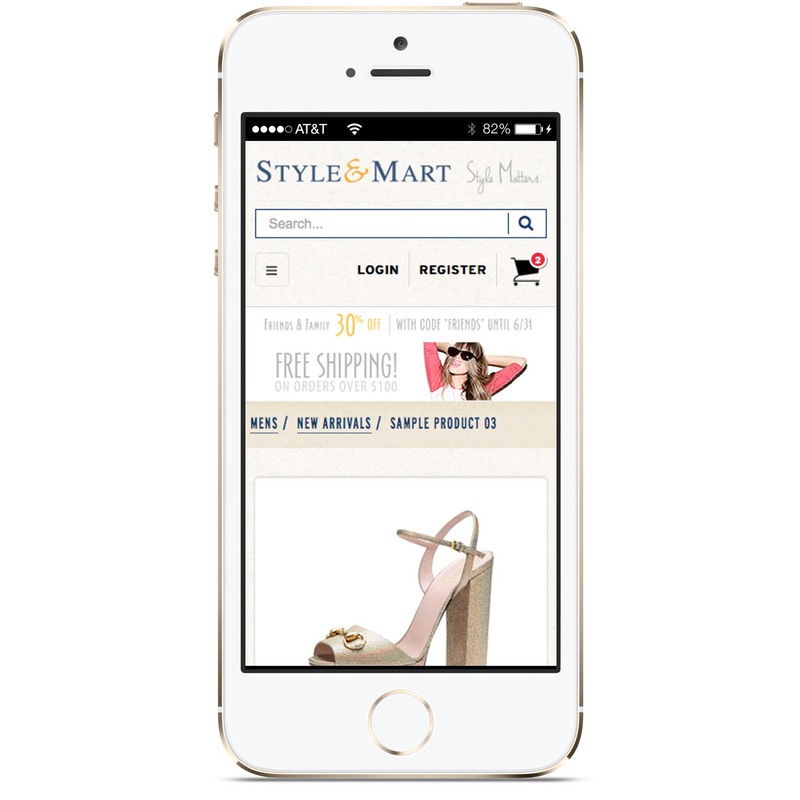 Virtuemart Single Page Checkout extension (AJAX-powered) comes built-in with StyleMart. Buyers never leave the checkout page during checkout. See the DEMO for better understanding. - Tests are completed and Joomla Virtuemart Template - StyleMart (Joomla+Virtuemart Template bundle) has been released. Good product, but Virtuemart 3.x + Joomla 3.x support is needed. 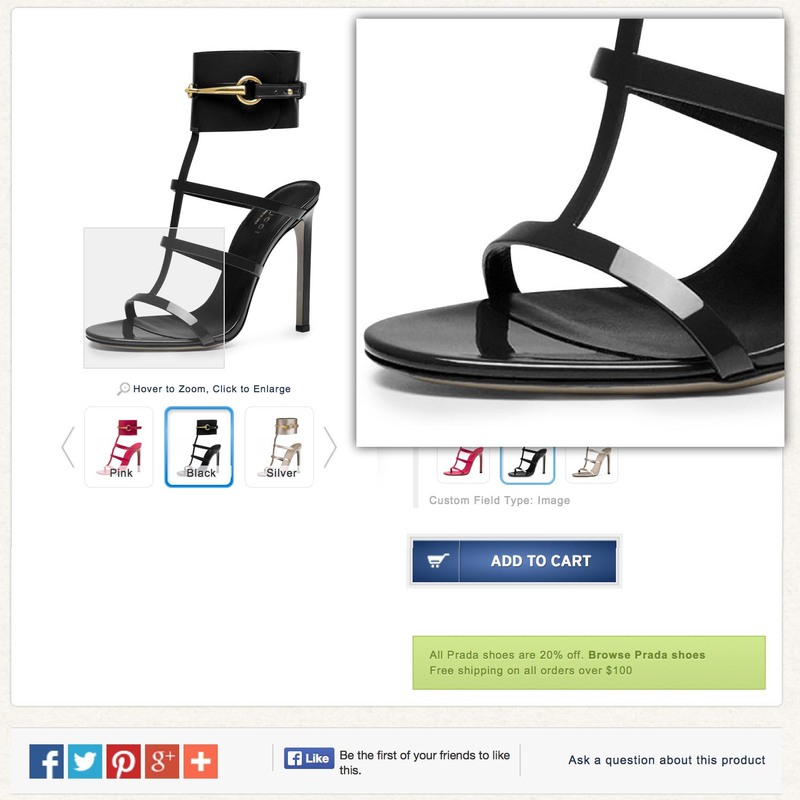 Using the Style&Mart template as a consumer is intuitive -- and the shopper experience is fantastic. The user can really connect with the products and the business because they are not wrestling with the website. Very well thought out, pleasantly themed, and web engineered. AND that is not even the best part -- working with Flexible Web Design has been a breeze. I can hardly wit for my next project so I can use another of their templates! this has truly been my favorite experience as a marketing project manager. Nice template, good for customers and sellers.I was beginners in site building, but with support provided by "flexible" team everything run perfectly!Thank you for your templates and support! It's a very nice template, I bought it and I had some problem on the installation do to the fact that I installed multiple templates on the shop what it wasn't to do. I asked to the support for help and they very kindly persons helped me to setup all like the demo server. A very great service, thanks. This template looks amazing, I really like it. There is however a delay of between 4 and 9 seconds when clicking a button before the page or script changes. Is there a bug in the template? I love this design template and other template here also. It is full of feature and friendly for shopper.One reason that I choose template here is plug-in sharing comes with this template.Not only impress design and feature but the support is excellent also.